In the blink of an eye, we've reached the second half of 2018. After a small summer break, Startup Estonia is back in action, doing what we do best - improving our startup ecosystem towards making it best in the world. Part of it is making Estonia more open to foreign entrepreneurs and for that we are working on Estonian Startup Visa. Estonian Startup Visa initiative has been active since January 2017. (Read about the successful first year here). Today, almost 700 companies around the world have sent their application to be assessed by the Startup Committee to get started with their journey to receive the Estonian Startup Visa to either relocate their activities to Estonia or, as for many Estonian companies, allowing employees to relocate to Estonia to start working in their local offices. Let’s get straight to the numbers! 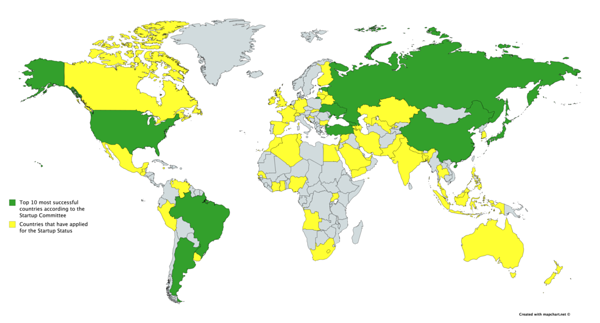 Up to date, 694 companies with founders from 67 different nationalities have applied for the startup status. The Startup Committee, consisting of members of the Estonian startup community, has assessed 42% of them eligible for the startup status - a percentage that remained stable throughout the current year – and the amount of applications keeps on growing. Although we see companies applying from all over the world, most applications come from companies based in: India, Russia, Pakistan, Turkey and Iran. Most successful applications, however, come from companies based in Estonia, Turkey, China, Ukraine, Russia, Brazil, Argentina, Canada, Georgia and Japan. "Among the most successful applicants are companies from countries where Startup Estonia has met the local teams, and we can say that each audience has a different expectation about Estonia as a business and startup ecosystem. However, Estonia has proven to be able to cater to all those different expectations, such as transparency and speed in doing business, and lack of unnecessary bureaucracy, just to name a few,” says Merilin Lukk, Project Manager for the Startup Visa programme. “While there is a lot of interest and successful examples from fellow former Soviet nations, there are also other countries like Japan, Argentina and even China, who are interested in relocating their startups to Estonia” she adds. Additionally, we've been looking into the field of operations of the startups applying, to figure out which ones could benefit more from our Startup Visa initiative, and it is evident that a wide variety of fields are represented. Fintech and Education with Data management definitely stand out, as well as Telecom and Energy. After receiving a positive evaluation from the Startup Committee, startup founders and employees can continue to apply for the Estonian D-visa or the temporary residence permit at an Estonian Embassy, or at the Estonian Police and Border Guard Board. In total, 347 employees and 184 founders from outside the EU have relocated to Estonia or had granted the right to do so. When it comes to employees relocating to Estonia to work in an Estonian Startup, we see that the top five countries are India, Brazil, United States, Russia and Ukraine. From the 347 employees that have been granted the right to relocate to Estonia more than 50% are citizens of the mentioned countries. “Estonian Startup Visa scheme has proved to be one of the most competitive startup visa schemes out there. Currently, we see that foreigners take up 20-30% of employment in the startup sector and there's a growing trend. Estonian startup sector is becoming more international, diverse and open - with that also more knowledgeable about foreign cultures, business ethics and getting contacts and network to the markets.” says Maarika Truu, the Head of Startup Estonia. After a successful first year of Startup Visa, we launched a series of events for all those who have relocated to Estonia to build their startup in this small but vibrant ecosystem. 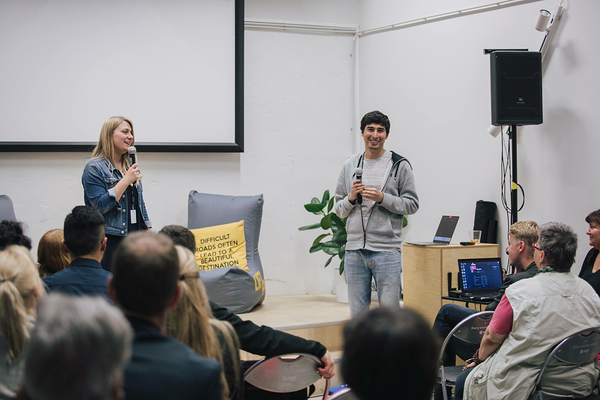 In February 2018, the first Foreign Founders meetup was organized in the heart of Tallinn’s startup life - Lift99. We talked about our success stories and introduced the founders to each other, giving them the chance to talk about their experience in Estonia as startup entrepreneurs. 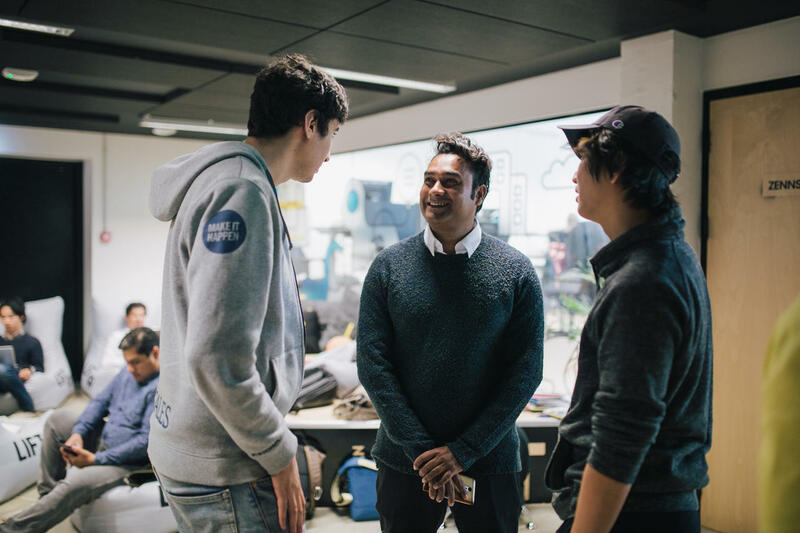 The event series has also given them a platform to pitch their projects and ideas as well and a chance to meet with other local players in the scene. Today we have a community of around 100 active participants sharing their ideas, solving each other’s issues when needed, showing and providing support: a big happy founder community. Until today four Foreign Founder’s Meetups have taken place, with the next happening on 31 of August, in the brand new Workland in the Old Town of Tallinn. We are always happy to spread the word about startup founders who have relocated to Estonia. Here you can also find a thorough look into Kwun’s experience as a startup founder in Estonia. Startup Visa roadshow - where have we been and where to next? In the first half of 2018 our team was busy traveling to meet with exciting startups all over the globe: Tashkent, Istanbul, Chisinau, Minsk, St. Petersburg, Belgrade and Novi Sad. At our events abroad, people found out more about the unicorn-breeding Estonian startup ecosystem and discussed the possibilities of joining it. During these events we saw how unique each and every city is, and how knowledgeable people are when it comes to Estonia. It’s now clear to us that Estonia has become important to foreign entrepreneurs as a gateway to the European or even global market, and relocating to Estonia is considered an important step towards the success of their innovative ideas. Starting from September, we will be back on the road to get closer to the exciting startup scenes of Tbilisi, Tokyo, Fukuoka, Lviv, Ankara, Istanbul, Tashkent, Moscow, Bangalore, and many more cities where the Startup Estonia team is looking to meet with more and more entrepreneurs. Follow us on Startup Estonia’ Facebook page to get the latest updates about our roadshow and events! Join us if you’re around! Get to know the startup ecosystem of Estonia! Follow Startup Estonia for all startup events happening in Estonia and come join the next Foreign Founders Meetup to get to know everyone!